"Over the last five years in away series, Kohli has topped four times out of nine. 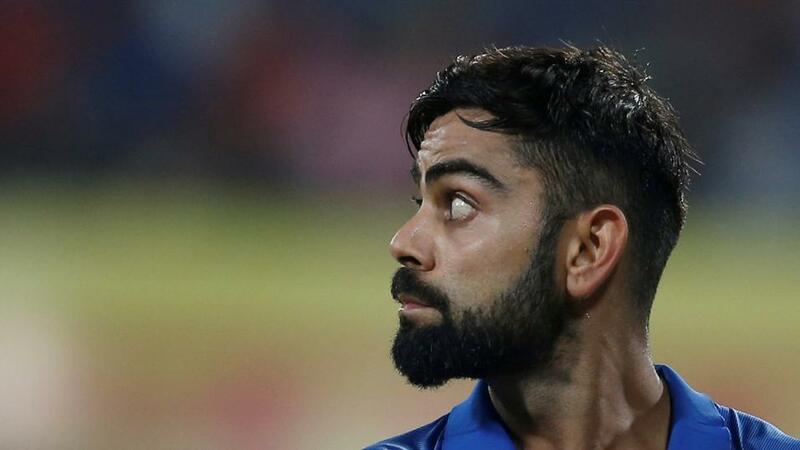 That's a hit rate of 44 per cent"
Australia are so worried about the potential for Virat Kohli to derail their bid to end nine consecutive series across all formats without a win that they are turning to unconventional sources for inspiration. They've read an article online. One would hope Australia are not pinning their entire four-Test strategy on stuff found on Google but Justin Langer, the coach, admitted this week that he sent an article by stats specialists CricViz to the bowling group as food for thought to counter the great man. Apparently, Kohli was found to be vulnerable to full balls which deviated inwards off the seam on India's last two trips - South Africa and Australia. That this is news to anyone (Asian batsman not as good when ball moves away from home), let alone Australia, is another matter entirely. What counts is that despite this 'weakness', Kohli managed top the run charts for India in both series. He notched 286 against South Africa and a massive 593 against England. On those two examples, there will be many who reckon Kohli rates at value to be No 1 for his team against Australia over the course of the contest. Betfair Sportsbook go no better than 10/11. The problem with the study period and the price is that both are too short. Over the last five years in away series, Kohli has topped four times out of nine. That's a hit rate of 44 per cent. In odds that's a 5/4 chance. A 10/11 chance should be copping 52 per cent of the time. That's an eight per cent swing against his backers. Kohli's huge haul against Australia four years ago (see table below) and the lack of a credible alternative (only Chet Pujara has top scored more than once of players available for the tour) could be enough to convince many that the eight per cent is irrelevant. Still, it seems hard to justify by our rules and regs with this column. One man we are happy to get with it at the right price is Australia's Shaun Marsh. Marsh will need to be a lynchpin of the home team's batting line-up if they are going to avoid a first home series defeat against India. Betfair Sportsbook offer his series runs at over or under 250.5 with 5/6 the price. Going over is a bet we can justify on the numbers. Over four Tests Marsh should, given his average (not including not outs) manage 274 runs when you filter matches only played in Australia. His career average suggests a haul of 245 runs should be expected. He busted that mark by nine runs against India in Australia in 2014-15 in three Tests. He managed 445 in five versus England in Australia's last home series. A repeat of his per game average (89) in that series should see him home comfortably. The similarities in the two pace attacks is an added comfort rug.